Bulgarian pianist Ina Selvelieva has performed as soloist with many orchestras and has appeared in numerous solo and chamber performances in her native country, as well as in Austria, Germany, Italy, Romania, Serbia, Colombia, and the United States. 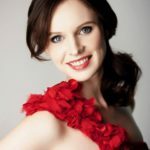 She has won numerous competitions both in Bulgaria and the United States, including the University of Wisconsin-Madison Symphony Orchestra concerto competition, and the UW-Madison Beethoven piano competition. 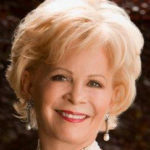 Her awards include the Pancho Vladigerov Competition in Bulgaria, the Grand Prix at the International Competition “Earth and People” in Bulgaria, and the Artist Presentation Society Award in St. Louis, Missouri, among others. Under the guidance of Christopher Taylor, Ina Selvelieva earned the D.M.A. degree in piano performance at UW-Madison in 2007. Since then she has served on the faculty at St. Olaf College, UW-Madison, and Southern Illinois University Carbondale. She has presented master classes throughout the world, including Universidad de Antioquia, Medellin, Colombia; Universidad Nacional de Colombia – Conservatorio de Musica, Bogota; Xavier University of Louisiana, San Antonio College, and Stephen F Austin State University, TX. During her academic teaching career, she has been actively collaborating with faculty colleagues and guest artists throughout the United States and Europe. Highlights of recent seasons include recitals with Burt Hara (Associate principal clarinet, Los Angeles Philharmonic), Kangho Lee (cello faculty, Korea National University of the Arts), Mark Sparks (principal flute, St. Louis Symphony Orchestra), Marianne Gedigian (former Boston Symphony Orchestra flute; University of Texas Austin faculty), Nadina Mackey Jackson (bassoon faculty, University of Toronto), and Eric Mandat (clarinet faculty, SIUC). 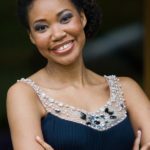 Her work as a collaborative pianist has taken her to festivals and summer camps, such as the Aspen Music Festival, American Institute of Musical Studies in Graz, Austria, and Interlochen Arts Camp.